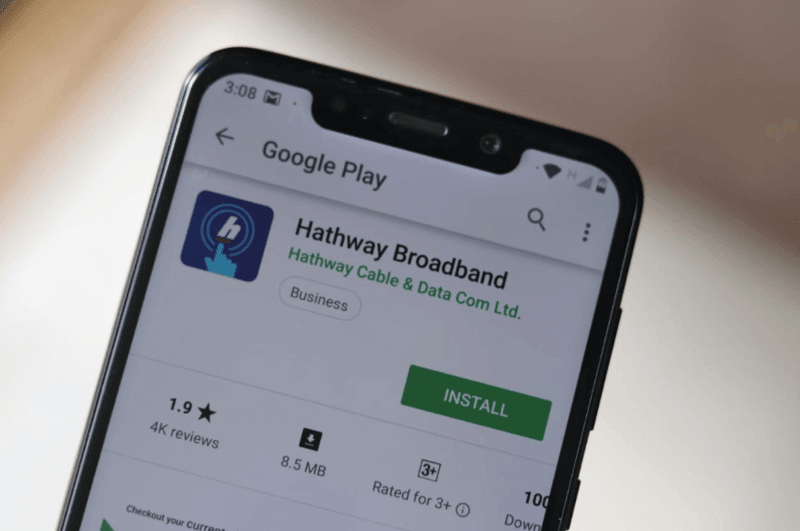 Hathway Broadband has announced the launch of its high-speed broadband plan which delivers up to 300 Mbps download and upload speeds. The Internet Service Provider has unveiled the plan in Chennai city at the moment, but the same plan will be rolled out in other cities starting December 1, 2018. To keep with the competition, Hathway has priced this new plan on the aggressive side at Rs 1,699 per month, but again, users can avail it for lower prices if they opt the plan for a longer duration, say 12 months. For example, the price of the plan comes down to Rs 1,250 per month if a user chooses it for 12 months. For now, Hathway has launched the broadband plan in Chennai city only. The plan which offers 300 Mbps speeds comes with a monthly FUP of 2TB. After the completion of FUP, speeds will be reduced to 5 Mbps, and there’s no limit on after FUP data consumption though. The price of the plan has been set at Rs 1,699 per month, however, if a chooses the plan for one year up front, the effective price comes down to Rs 1,250 per month. The 12 months plan has been priced at Rs 14,999, while the six months plan can be availed for Rs 9,999. For the users who choose this newly launched 300 Mbps plan, Hathway is also providing free Deco Mesh from TP-Link. For the unaware, Deco Mesh from TP-Link covers an entire home and provides reliable connectivity over Wi-Fi. The TP-Link Deco Mesh comes with three Wi-Fi bands with dynamic backhaul and one Mesh supports over 100 devices to keep all of them running at top speed. The TP-Link Deco Mesh has a Dual Ban 2.4GHz network delivering up to 400 Mbps speeds, and a 5GHz network is capable of delivering up to 867 Mbps speeds. It has four internal Antennas, two Gigabit Ethernet ports, Bluetooth connectivity and one USB Type-C adapter for power. The Deco Mesh also has a quad-core CPU. Furthermore, the Deco Mesh also has support for Amazon Alexa and it even works with IFTTT products. Furthermore, the TP-Link Deco Mesh offers various security features and it protects every user from getting attacked and devastated by a virus. It also offers Parental Controls, so that kids will be able to enjoy a safe browsing environment. This plan from Jiothway is unbelievable value. Might look into it if they also increase upload speeds from punny 5 Mbps to something respectable like 50 Mbps.